The Janome servo press is one of the most advanced manufacturing systems in the world. 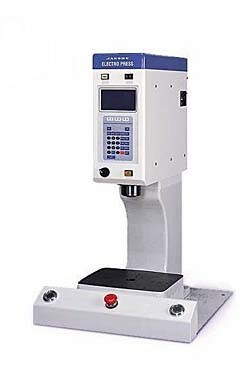 The Janome servo press allows for simultaneous control over force, position, pressing speed and dwell time. With the Janome servo press you can identify bad parts and keep your quality control up front where it should be. You can now be sure that all your parts are manufactured under ideal parameters set by your engineers. Contact us for more information on the fine products offered by Janome Industrial Equipment.